ike this big lovely "L"? Me too! 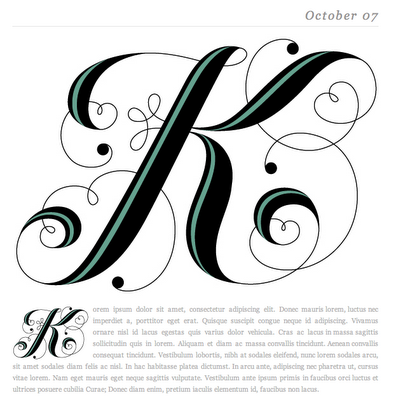 I love type. Always have. Even when I was little I loved making my letters. Now I'm a designer and I get paid to play with type! 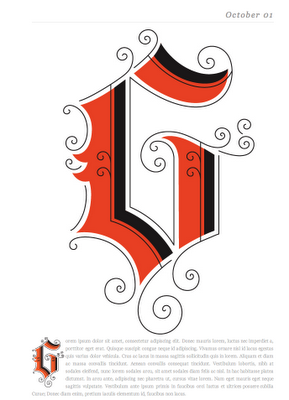 Which is why I am so fascinated by Jessica Hische's Daily Drop Cap. Everyday, she posts a new, gorgeous initial cap for you to use on your blog. And they are stunning! Please enjoy a quote from Jessica's blog below and pics of a few of my faves. 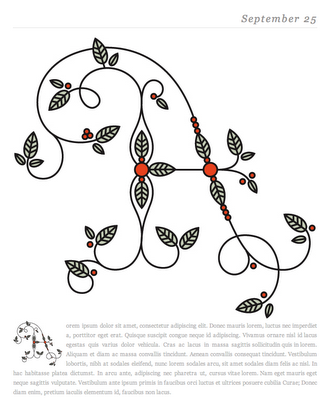 And don't forget to visit her site to enjoy all her typographic goodness. beautification of blog posts everywhere. To use a Daily Drop Cap on your site or blog, follow the instructions in each post and read about the usage limitations. Enjoy!" You are not allowed to register for clothes. I can't register for this, can I? I would love to have gobs of moolah to drop on fashiony and decor treats all the time, but, let's face it, I went to art school. And Art School, as much as I love being a designer, does not always mean mucho dinero. 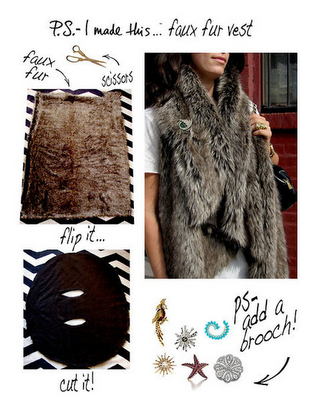 So, I am always on the lookout for crafty (and affordable) styling ideas. Cause just cause you're broke, doesn't mean you can't look fab. Enter PSImadethis.com. Genius! Cutie pie Erica set up this site to share her ideas on DIY everything- from fashion to home decor. I gotta say, I'm way impressed. 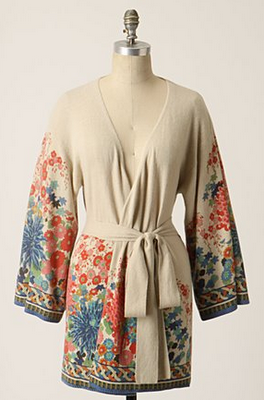 (BTW, She has styled for Anthropologie, which makes her a goddess in my book.) Check out her bio below and some of my fave projects from the site. Oh, and be sure to compliment me on my faux fur vest next time you see me. Enjoy! 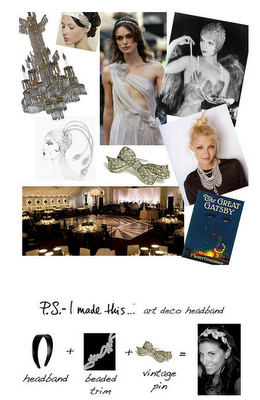 "Erica Domesek is a distinguished lifestyle, design and style expert, living and creating in New York City. She is also the founder of the innovative DIY brand “ PS-I Made This…” Erica’s creative motto “I see it, I like it, I make it” reflects the belief that one can find inspiration anywhere and transform what one sees into something fabulous to wear, use or look at. With a keen eye and ability to make everything from fashion accessories, home décor accents and provide a vision for creative soirees, Erica’s work has been featured in publications such as Teen Vogue, Glamour, Vogue Nippon, Domino, GQ, among others. She has styled and designed campaigns for International brands such as Kate Spade, Tumi, J.Crew, Anthropologie, Roxy, Sigerson Morrison, and True Religion, and is the host for Alloy Entertainment’s Teen.com TV Craft Club." Can I just say that I love planning our wedding?! Its is so much fun-so many fun ideas and choices and unusual crafty things to do. It is the perfect creative outlet! And there are a plethora of blogs (see my wedding blog list), and of course Etsy, to help along the way. Plus, I love supporting amazing independent artists in the process. Please enjoy a little roundup of some of my favorite wedding treats on Etsy right now. Love! Happy happy 2nd anniversary baby! You are the love of my life, my best friend-and I can't wait for you to be my husband! What an amazing 2 years and I so look forward to many more. You really are the best!